Four yards too far and you're in the water. Two yards short and you're in the bunker. You thought your three iron would get you onto the green, but today you're in the drink. How did that happen? Why did you miss? The game of golf is influenced by many invisible elements outside of our perception and control. Environmental variables such as the temperature, altitude, barometric pressure and humidity all play a critical role in determining how far or how short your ball ultimately carries. Devices like a handheld GPS or laser rangefinder will tell you how far you've got to get in the hole or to a target, but they won't tell you how far your golf clubs will travel today at home or tomorrow at a foreign golf course. 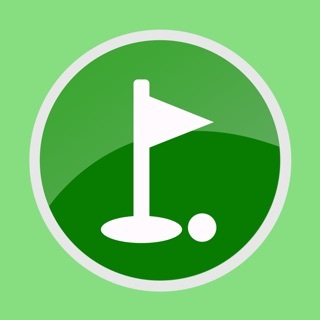 Myardage is the first and only golf application for iOS that lets you determine just how little or how much these variables are going to affect your game- even before you approach the first tee box. Your golf ball will fly considerably further on a hot and humid day then it will on a cold and dry day. Your golf ball will fly even further if you're playing at a higher altitude then you usually do. How far used to be anybody's guess- but not anymore. Enter in your club carry distances and the conditions that existed when you shot those distances, and Myardage does the rest. On devices with GPS and an available data plan, Myardage will automatically determine your elevation (altitude) and current weather conditions, then update your golf club distances accordingly. If your device lacks a GPS receiver or data plan, then simply enter in your current altitude and weather conditions manually and Myardage will calculate your new club distances. Maybe you're playing at a foreign golf club in a different city, or maybe you're playing at home during a different time of the year. Maybe the weather has taken a turn for the worse and a thunder storm is rolling in, or you're trying to get a game in right after a large storm. All these scenarios can influence one or more of the four variables Myardage tracks- temperature, altitude, barometric pressure and humidity. And each of those variables impacts the distance your clubs will carry- so why leave it to chance? If you're serious about the game of golf, then you need serious information about how the environment impacts your distances. Myardage reveals four of the most impacting yet invisible variables that influence your game, so you can compensate accordingly and play with confidence on every shot.